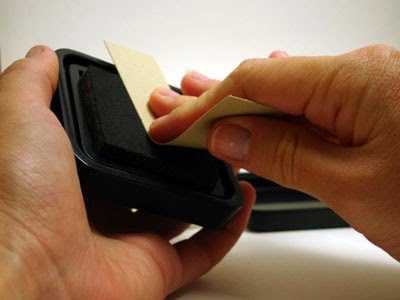 Here is all you need to fix you waste ink pad full in Canon PIXMA iP2700 printer, with the next steps, one by one. Everything has an end, is what we can say in this case, printers Canon PIXMA iP2700 are the best thing that ever hit the market, now replaced by printers Canon PIXMA iP2702, this printer combines performance, function, strength and quality. These printers with continuous ink system with horsepower, can give work to this weekly team up to 2,000 pages, this printer few errors present, only be reset at any time but nothing too serious. When printers have fewer functions similarly reduce the chances of damage are printers which can only print, which favors even install continuous ink system. When it comes to the amount of approximately 15,000 pages, we get a message on the screen indicating printer you are full pads ink, the printer file a display indicating that the waste ink pad are full, accompanied by error "5B00" we are supposed to lead the team to support Canon to be the ones that eliminate the error. If for one reason or another have no possibility to take the service of Canon, we can choose to download us a "Service Tool" program which will reset the printer without problems, the same is tested and works perfectly. Download the Service Tool software for Canon PIXMA iP2700. Select the USB port where the printer is installed, if you only have this installed printer appears in a main USB port, either the USB1 or USB2 port port. This option will get it on in area "Set destination". The printer must have put pages as needed to print multiple pages, press the "Main" button on the second option, Second service tool menu. Followed press the "EEPROM Clear" button located on destination, third choice in the second menu from top to bottom. Finished entire operation pressed OK, and restart the printer, the printer bulb stops flashing orange button set and off, allowing the printer off button turns green. Should not be reset you contact us, we will gladly help you.